Tim Perry has never been one to follow convention. When most of his high school classmates in Kansas City decided to attend nearby state universities in Kansas, Perry instead went south to the University of Arkansas at Fayetteville, where he majored in finance. Upon graduating, he again bucked the trend, choosing to enroll directly in what was then a relatively young business school, rather than seek an entry-level job at a bank or investment firm. “I didn’t want to go to work and then come back to business school, because I was afraid if I started a job that I’d get caught up in it and never leave. Owen ended up being the best possible choice. It was an up-and-coming school at the time, and I got an excellent education,” Perry says, adding that he still relies on the critical thinking skills he developed while earning his MBA. Perry’s instincts have served him exceedingly well, even when conventional wisdom might have suggested a different path. Today he is Credit Suisse’s global co-head of oil and gas investment banking—the latest accomplishment in a distinguished 36-year career, half of which he has spent with the Swiss financial services company. “I have been very fortunate,” says Perry, who was promoted from co-head of the Americas oil and gas group in December. “Most of the people I work with attended Harvard, Wharton or University of Chicago. 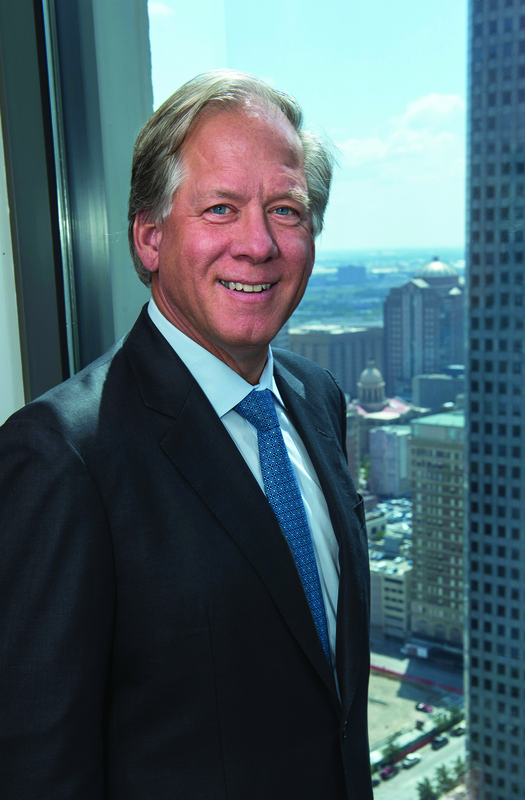 Based in Houston, Perry has spent the past two decades raising capital and executing M&A transactions for many of the leading private and public companies in the energy industry. In 2016 alone Credit Suisse executed approximately $15 billion in oil and gas equity offerings, which equates to about half of the sector’s global equity offerings completed that year. Credit Suisse’s oil and gas investment banking group ranked No. 2 in the world in 2016. Another factor that has impacted Perry’s business of late is the development of new technologies for oil and gas extraction. Specifically, the industry has been transformed by the combination of horizontal drilling—in which wells are turned horizontally to access hard-to-reach deposits—and hydraulic fracturing, or “fracking”—the process of injecting liquid at high pressure into subterranean rocks to force open existing fissures. The new technologies, which now account for more than half of all oil and gas output in this country, have allowed the U.S. to increase its production more rapidly than at any other time in its history. The oil and gas industry has seen its share of ups and downs over the past few decades, and it would have been easy for Perry to step away when times got tough, parlaying his investment banking experience into something else. But then again, that’s never been in his nature. When others zig, he zags, and because of that he now finds himself at the pinnacle of his field, engaged as ever in his job.